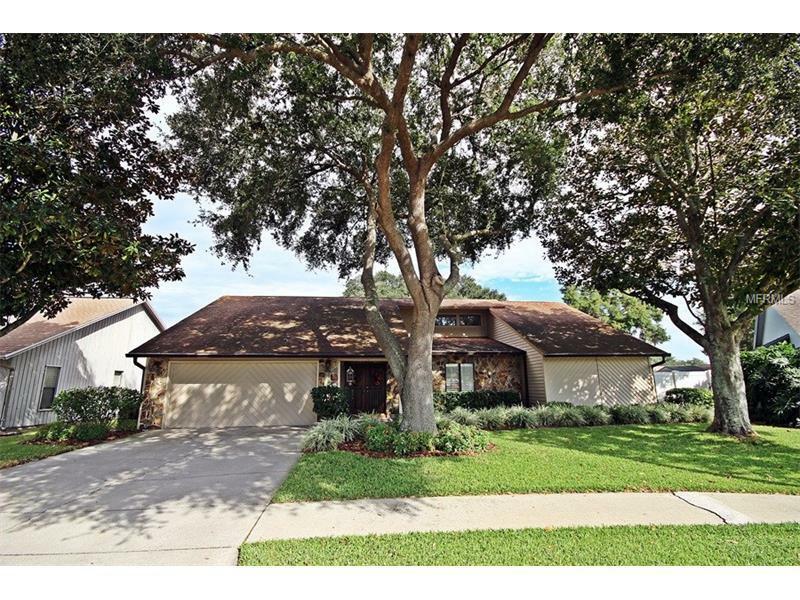 Beautiful, Move-in ready home in desired Bloomingdale neighborhood and A+ schools. This unique, traditional architecture 3 bedroom, 2 bath and 2 car garage home is located on a very peaceful street. The front yard has a huge oak tree along with tasteful landscaping. Enter through the elegant solid wood door into the great room, family, and kitchen areas. All sliding doors on the rear of the home stack into a disappearing pocket to give clear view onto the 34 ft wide covered lanai with views of the OVERSIZED and vinyl fenced backyard, perfect for the kids to play. The split floor plan keeps the master retreat private and features vaulted ceilings, pocket sliders that lead to the porch, and a large walk-in closet. The master bath has his/hers vanities and a garden tub with a large and glass enclosed shower. All of the windows are double insulated glass. The kitchen has lots of cabinets for extra storage and appliances are included. The kitchen overlooks the breakfast nook and family room. Enjoy resting in the family room with the stone fireplace that features a Heatilator. Other upgrades include plantation shutters throughout, the entire home replumbed, all AC duct work was replaced, all the wood siding has been replaced with vinyl, tile in the wet areas, dining room, and family room, and berber carpet throughout the rest. Enjoy the A+ school district and convenient location! !